We're rounding up Mortal Kombat 11 information because why not? We’re just a few short months away from the release of the biggest fighting game of the year, Mortal Kombat 11, and NetherRealm Studios have been dropping information like a clumsy bagboy ever since the worldwide reveal event a few weeks ago. With that in mind, we thought we’d collect all the relevant information you need to know before Mortal Kombat 11 launches. Let’s break it down. Here’s all the revealed playable kombatants that have been confirmed so far. Yeah, some others have been leaked, or have shown up in cutscenes in different trailers, but these are all the playable characters. We’ll update this list with more as and when they’re revealed. In terms of gameplay, Mortal Kombat 11 is switching things up in a big way, introducing two separate meters, one offensive and one defensive, that can be used in battle in various ways. You’ve also got Fatal Blows, which are devastating comeback moves that can only be activated when you’re at low health, and Crushing Blows, which can buff certain moves which specific conditions are met. As for returning features, there’s fatalities and brutalities, which are gorier than ever thanks to Mortal Kombat 11’s enhanced GoreTech engine. Variations make a return from Mortal Kombat X, but now you can customise your variations with special moves and gear, similar to the customisation system seen in Injustice 2. NetherRealm Studios have already confirmed a number of modes in Mortal Kombat 11, with the main attraction being the game’s story mode. Not much is known about the overall plot at the moment, but it concerns new villain Kronika, who can control time. We’ve also seen footage of Liu Kang fighting himself in trailers, so it’s safe to say that the storyline is going to get a little bit mental. There’s also the Towers of Time mode, a cross between Injustice 2’s multiverse mode and Mortal Kombat X’s Towers Mode. The Towers of Time feature randomised and preset challenges that players can take on to earn specific loot and/or bragging rights. The Krypt will also be making a big comeback, this time fronted by a returning Shang Tsung, played once again by Cary-Hiroyuki Tagawa who played the sorcerer in the 1995 film, along with season 2 of MK: Legacy. In this version of The Krypt, you’ll control an as-yet unnamed character, exploring Shang Tsung’s Island to find new gear and items. 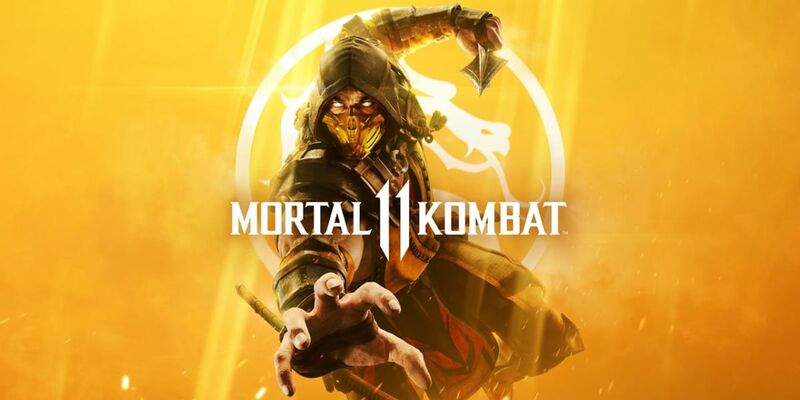 Mortal Kombat 11 will be available on April 23rd on PS4, Xbox One, PC and the Nintendo Switch, though curiously the Nintendo Switch version of the game in Europe is slated for a May 10th release date. Fingers crossed we hear more about the Switch version and it doesn’t end up like the Xbox 360/PS3 version of Mortal Kombat X. There was a closed beta on PS4 and Xbox One that started on March 28th and ran through to March 31st/April 1st. The closed beta featured five characters (Baraka, Scorpion, Skarlet, Kabal and Jade), and included online matches along with a glimpse into the Towers of Time mode and the Custom Character Variation System.